Finlandia is a sauna manufacturer based in Oregon that has been building high quality saunas for over 50 years. Their experience is what truly separates them from the pack as the brand is well aware of what does and doesn’t work. They are also firmly dedicated to making sure their customers’ sauna experience is as authentic as possible. The president of the company is a native of Finland, which is essentially where the sauna culture that we know today was created. Very few sauna manufacturers have the dedication to authenticity and high quality that Finlandia does. 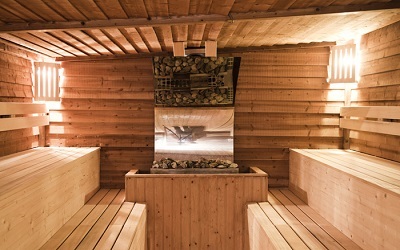 All of their sauna options are almost entirely handmade to ensure that the highest level of quality is met. The brand offers several different options for sauna users, including pre-cut packages, prefabricated sauna rooms, and the more traditional outdoor sauna option. Finlandia also allows customers to choose between four different wood types, including Red Cedar, Redwood, Yellow Cedar, and Western Hemlock. Fortunately, the Finlandia saunas are also a very affordable option for potential sauna customers. Their pre-cut options are far cheaper than other major brands like Almost Heaven and Great Saunas. They’re also much easier to assemble than many other brands. The authenticity provided by Finlandia is something that no other US manufacturer can match. They take pride in every sauna they make in order to ensure that it meets the traditional standards of the Finnish sauna culture. They also import all of their sauna heaters straight from Finland in order to guarantee premium quality. If you’re looking for a combination of authenticity and high quality, Finlandia has what you’re looking for.